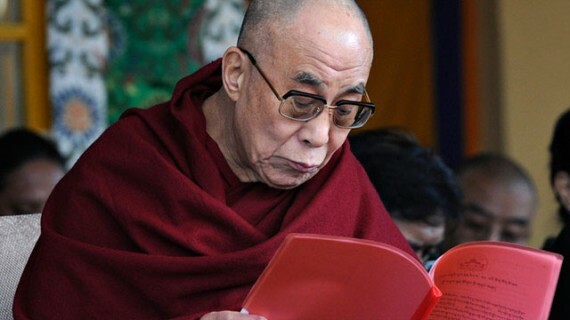 With the announcement of his retirement on March 14, 2011 His Holiness the Dalai Lama has presented a huge challenge to the Tibetan people. It is clear that he wants to hand over his power as the chief executive of the Central Tibetan Administration to a democratically elected leadership. He has also said he wants to set in place a system that “can become self-reliant rather than being dependent on the Dalai Lama”. The word is that he has declined to remain as the head of state. In 1992 a document with the title “Guidelines for Future Tibet’s Polity” was released. This was four years after the Strasbourg declaration. The speech of His Holiness in Strasbourg has caused some heated debate among Tibetans because of the prospect of conceding important sovereign rights to Beijing and compromising on Tibetan independence. The 1992 document was a surprising u-turn and contained hardly any of the notions that infuriated some sections of the Tibetan community four years earlier. We are now in a process of handing over the power of the Ganden Phodrang dynasty to a democratic elected leadership of a 100,000 exile Tibetans. This move can be clearly understood as a step to prevent Chinese interference in the selection of the next Dalai Lama. I, therefore, sympathize with the decision to end the Ganden Phodrang dynasty and hereby stop the dynastic politics that were so harmful for Tibet’s stability. On the other hand, I wonder if these precautionary measures will suffice to keep away the Chinese and if this could not be done in another way. The Chinese are not the only threat. It is thinkable that people serving the 15th Dalai Lama or another lama inside Tibet will try to take over political control with foreign support. In view of all these uncertainties, is it not advisable to maintain the Dalai Lama institution within the Tibetan political system and have at least some level of influence? Declare their full support for the transfer of the political power of the Dalai Lama to a democratic elected leadership. Declare their wish to explore the possibility to maintain the Dalai Lama institution in a political system similar to a “constitutional monarchy” or “head of state”-solution. Agree on a defined roadmap with a timeline for the transfer of the political power to a democratic elected leadership within the next year. Appoint a committee to explore the necessity to revise the constitution of 1963 along the ideas of the 1992 guidelines. Appoint a committee to come up with a coherent set of constitutional documents that form a strong legal base for the power transfer. This article was originally published on www.wangpo.eu.